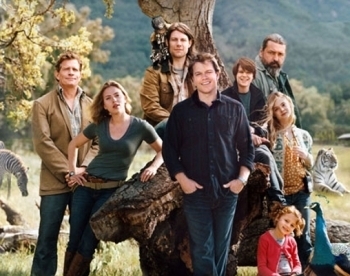 We Bought A Zoo is based on the heartwarming true story of a grieving family who takes a big leap of faith. Kidzworld has the movie review. After losing his wife to a tragic illness, adventure-seeking dad Benjamin Mee (Matt Damon) decides to make a big life change. Nearly every part of the city reminds him of his late wife. 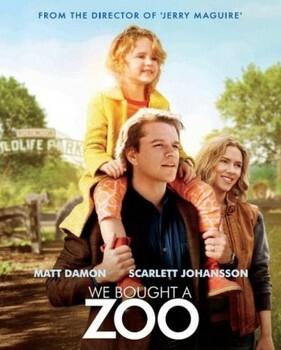 So Benjamin and his two kids move out to the sticks and purchase a struggling zoo. Benjamin underestimates the time and money needed to restore the zoo in order to bring it up to code. A difficult inspector makes things all the more challenging. Meanwhile, Benjamin has more problems to deal with than just the zoo. 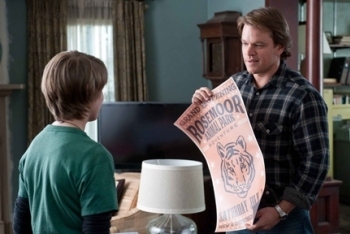 He and his teenage son (Colin Ford) are butting heads. They’re both dealing with the loss in different ways, but it's ruining their relationship. Because of all the renovations and medical bills for an aging tiger, Benjamin runs out of money. Will he have to cancel his plans to reopen the zoo, and let all his employees down? Or will a miracle set him on the right path? 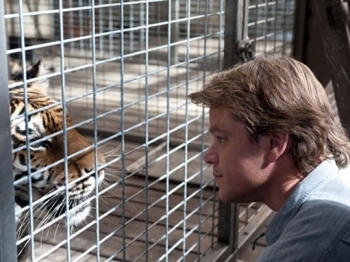 We Bought a Zoo, starring Matt Damon and Scarlett Johansson, is a touching true story about a Southern California family. Watching them go through the grieving process makes the film very emotional - almost too emotional. The fact that the story is true makes it all the more heartwarming. But when you compare it to other true story films, like Dolphin Tale, it doesn’t quite measure up. 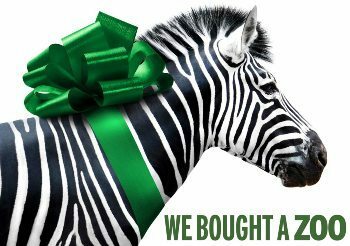 What did you think of We Bought A Zoo? Tell us in our comment section below! Elle Fanning and Lions and Tigers and Bears!